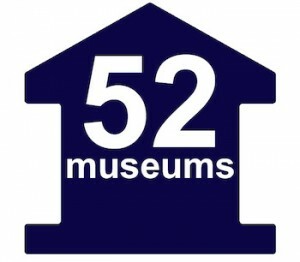 UPDATE: @52Museums is fully booked for 2016 but there is a waiting list and planning 2017 already. Also, if you’re a museum on Instagram, please add yourself to the Museums on Instagram List. 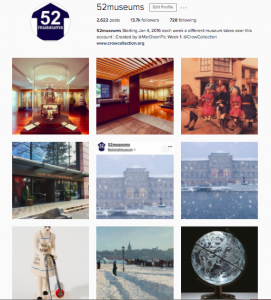 A few weeks ago I was on Instagram and noticed how my friend Chris Webb’s project 52Quilters was still going strong and growing. The object is simple: once a week someone takes over the Instagram, Twitter and Blog account and shares their experience on being a quilter. I went to sleep and woke up at 5am with one of those moments – this could work for museums. By 9am @52Museums was happening. Well I say happening, the accounts were created and a Google Form for sign up was made. There has been a few mistakes made along the way (like I should have created a form that only allowed one week to be chosen or any week as it turned into a logistic nightmare) but thankfully, museums are brilliant at adapting to changes (no seriously!!). The final schedule still isn’t final as over 80 museums have signed up. 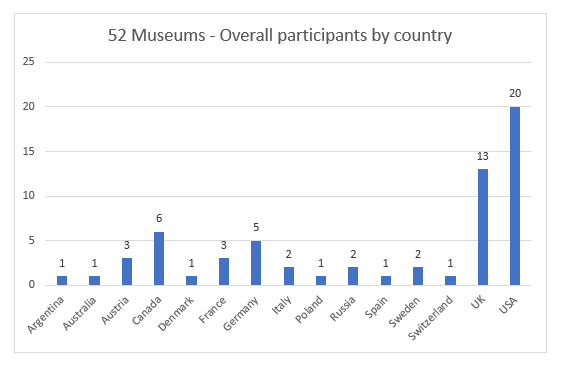 Museums are collaborating with other museums either via similar collections, cities or a fun challenge. This project is all about museum(s) sharing anything they want for the week on Instagram. Every museum that signed up is going to help engage with the account for the year – so local museums will get the same support as the nationals.